Happy Monday Lovies! I hope your weather where ever you are is treating you right! Ours sure is - it's been absolute perfect weather for April. Even so, this Saturday I'll be headed to Florida! I'm going with my sis and her fiancee, my husband, and my parents. We usually do this once a year and it is so fun. You know what one of the best parts about it is? We get to go back to Harry Potter World! Woohoo! Since it's vacation time, I thought I would link back to one of my most popular posts, and my most pinned pin on pinterest. You can find the whole post by clicking here ---> I'm leaving on a Jet Plane! It's my tutorial on how to pack just a carry on when you fly. If I have to have any lay overs at all in the airports, I never check a bag. This is a quick guide on how to only pack what you need. My sister and I are excellent packers, and excellent vacationers. Well, who isn't an excellent vacationer?! But here are some of our tips for having fun and staying beautiful on vacation! Problem: Anyone else's hair get so frizzy on vacation in humid places because of all the chlorine and sun screen? It's a vicious cycle: put sunscreen on-->lay in sun-->sweat-->makes hair greasy-->need to wash your hair twice a day-->fry your hair-->frizz is even worse. And on and on. Solution: Use dry shampoo! Did you know Not Your Mother's brand now comes in travel sizes?? Its also a brand I use and previously reviewed. Click here! --> Not Your Mothers Review!. Problem: I come back from the beach with more split ends than I left with because of the sun, styling, and frizz cycle. Solution: Wet your hair before going down to the pool and put in a ton of leave in conditioner. This will protect your hair from the sun's harsh rays, and hopefully help keep the chlorine at bay. When you go to style your hair for a night out later, you'll have silky smooth strands that look healthier! I have personally tried all of these, and love them all! Problem: Breakouts from using sunscreen on your face! Ew! Solution: Use oil free sunscreen on your face. It's more expensive to buy two kinds of sunscreen - one for your body and one for your face - but it is so worth it! I recommend Neutrogena. I swear by most of their products, and this works so well. The aerosol kind works even better, but it doesn't last near as long. Problem: I have too many swimsuits and not enough room! Which ones do I pack? Solution: My sister and I try to pack suites that can be mixed and matched the whole vacation. Next time you swim shop, buy solid bottoms and printed tops. This gives you more variety for the whole week, without having to wear the same suit everyday.This is one of my favs for mixing and matching, from Target! Problem: My sister and I get so sick on planes. Take off and landing are so terrible!! Solution: I drink lots of water, and take Dramamine! Don't buy the kind from the airport, it's twice as expensive. Take your own. Also, try not to eat super greasy food before the flight. A subway always works great for me. I just can't wait to fly out of here! What are some of your tips for traveling and staying beautiful under the sun? Great tips! My hair gets so frizzy in the humidity. I'll have to check out Not Your Mother's brand. I always use Neutrogena sunscreen on my face. Haven't broken out yet! Florida fun - yes please!! I'll have to pin that tutorial for sure!! I'm totally with you on only packing a carry on - don't have to worry about luggage getting lost!! Happy Monday! So jealous of your trip! Love the swimsuit you picked out! YAY!! I hope you have a great vacation! And I really hope it's better weather this weekend than it was last weekend. It was rainy and chilly all this past weekend but it's supposed to be nicer this week! Loving the idea with the mix and match bikinis! I don't know why I never thought of that! Happy Monday! Hope you hav a blast! My hair gets so frizzy too. Love the list of products you mentioned. yay for Florida! 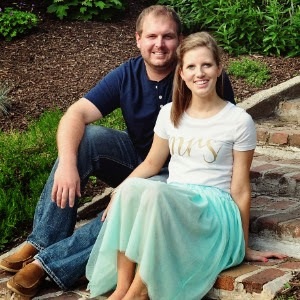 We are going at the end of May for a friends wedding and I cannot wait! What a great post layout! Love it! I pack in one carry on suitcase no matter where I go! Yeah so excited you are heading down here! Which coast are you coming to? 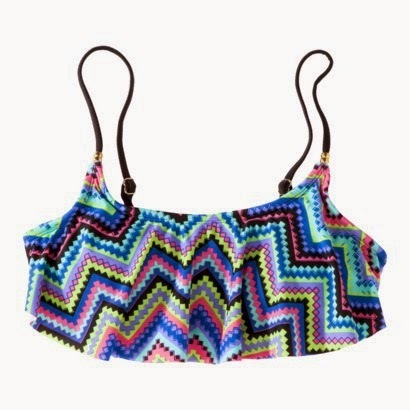 This swimsuit top is irresistible. Love the pattern! Thanks for sharing! I'm going to St. Thomas in July! These will come in handy! Great post! I'm so bad at packing well! Check out the giveaway on my blog today! This was so helpful, great post! I never thought about the leave in conditioner before going to the pool or probably beach for that matter. Great tip! Great post! Thank you for sharing! Have fun on your trip! i have tons of travel beauty tips but one is i love dry shampoo in stinky shoes. i swear by it. i love NYM too! Great tips, girlfriend!! Where in Florida are y'all going? Very jealous.. These are great tips and I am so so so so excited to go on my trip very soon! 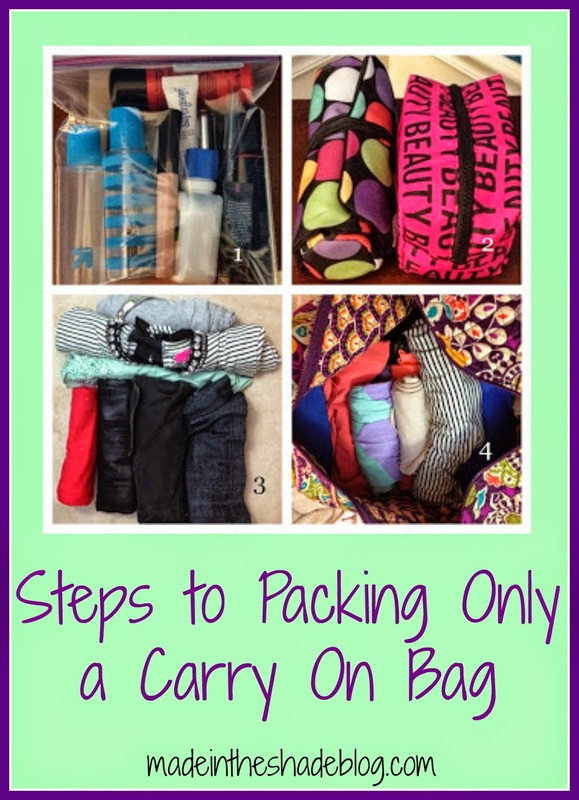 Thanks for linking the post on how to pack only a carry on! Luggage is expensive!